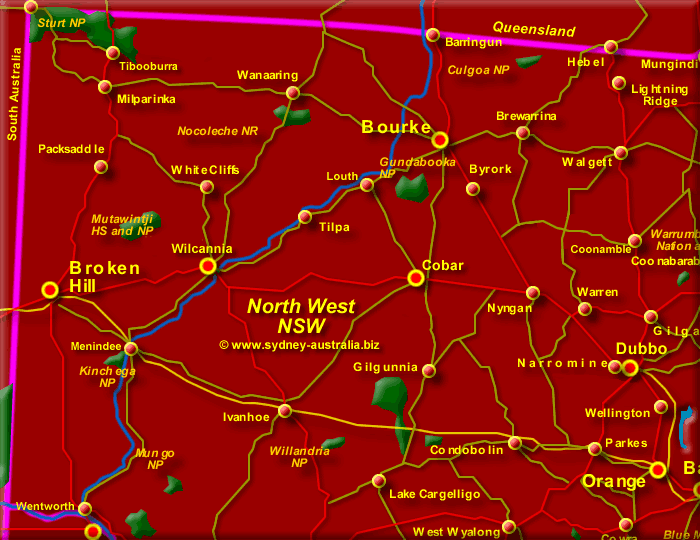 Next Picture: North East NSW Map - North East NSW Map. Previous Picture: South West NSW Map - South West NSW Map. See Maps of Sydney Australia, Capital of NSW Sydney Map. Accommodation in New South Wales includes hotels, motels, luxury resorts, caravan parks, places to camp, bed & breakfasts and backpackers hostels.